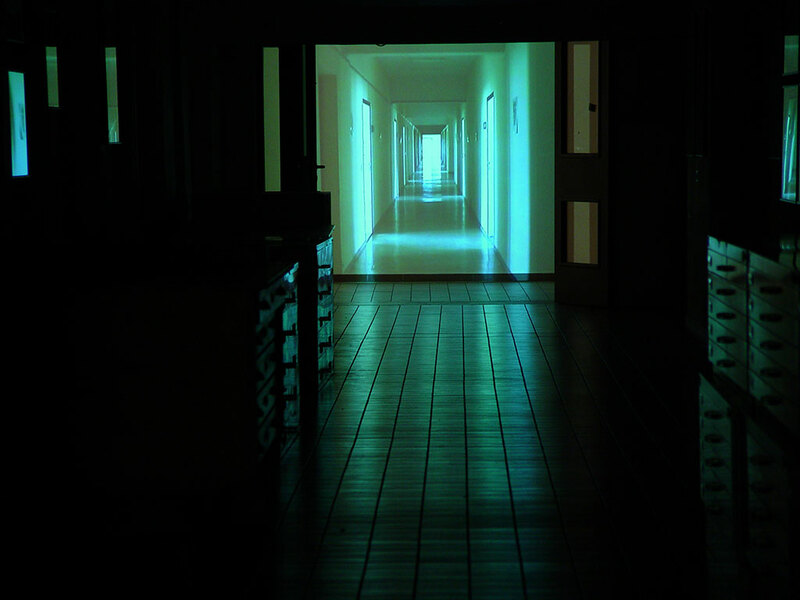 The "Kunsthaus Nuremberg" is run through by a long, high corridor, from which exhibition rooms are branching off to the left and to the right. 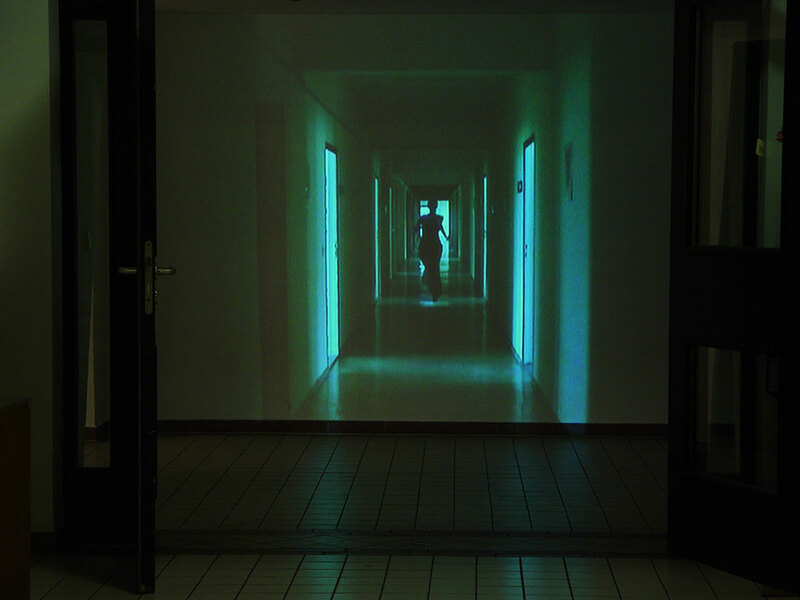 I continue the corridor in a virtual manner. At the end of the corridor there is a projection wall at which another long corridor is projected. 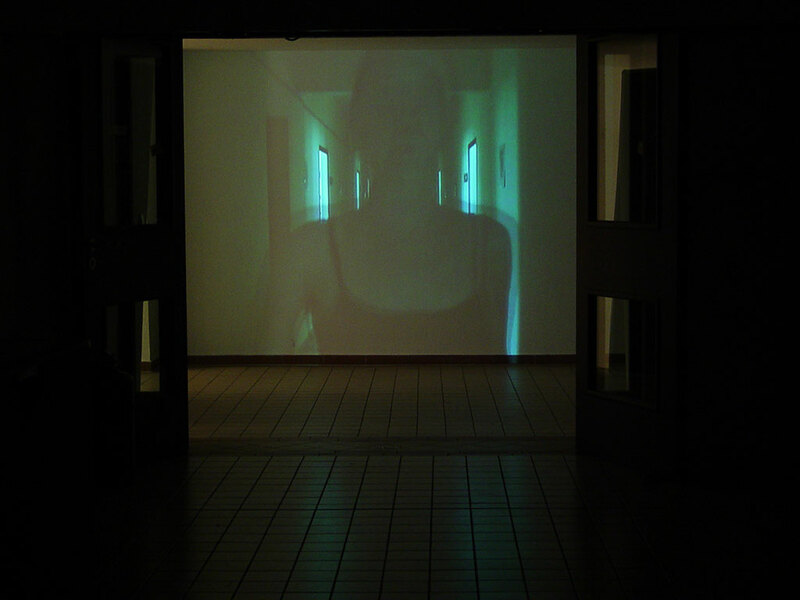 It is the corridor of the building, where my studio is located. 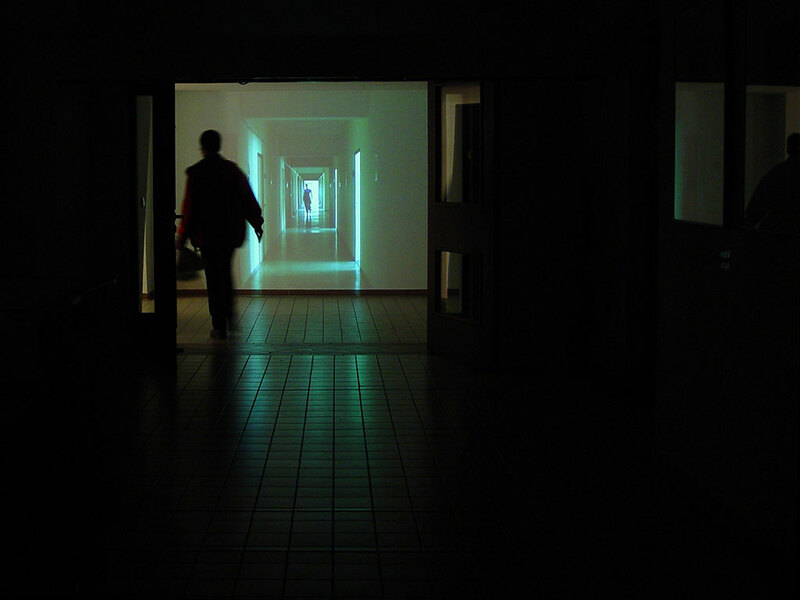 The corridor is dark, loud steps resound, doors are opened noisily, one person goes along the corridor and opens doors. 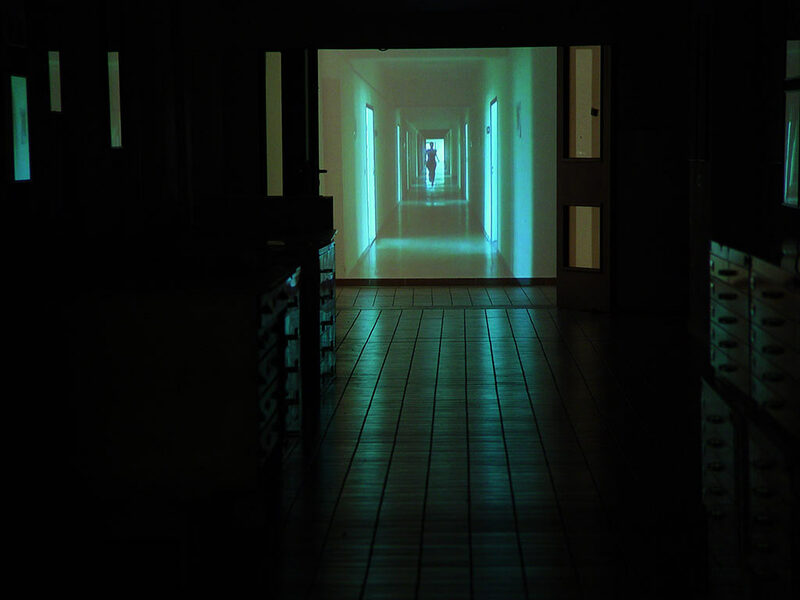 With each door, there comes more bright light into the corridor, voices of birds are becoming louder, so that the rooms seem to be transmitted into an imaginary landscape: An imaginary plot begins.